Red tide persists in many Tampa Bay area counties, according to FWC's latest red tide status update. 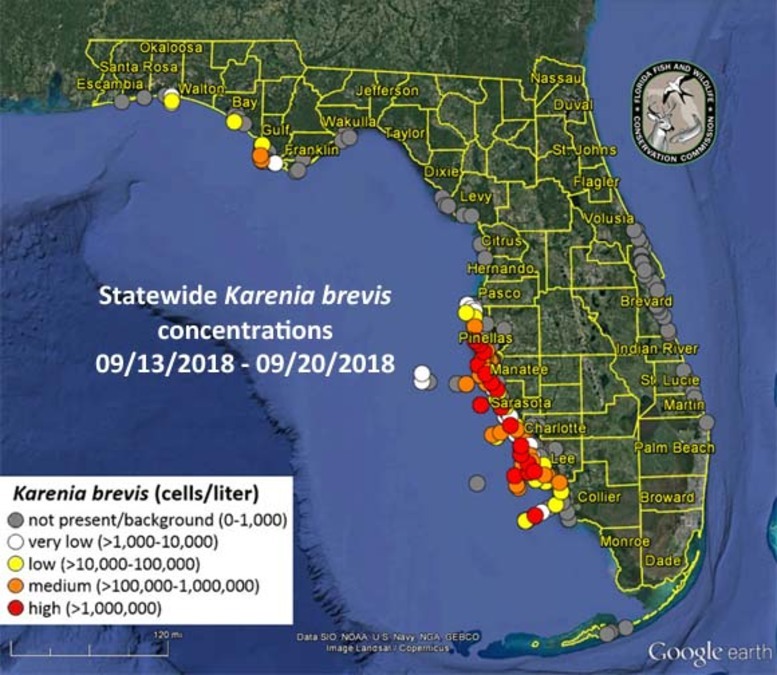 The organization says K. brevis concentrations have generally decreased in areas of Pinellas, Sarasota and Charlotte Counties, however it increased in northern Manatee, parts of Lee County and northern Collier County. High concentrations of red tide were still observed in Pinellas, Manatee, Sarasota, Charlotte and Lee Counties. 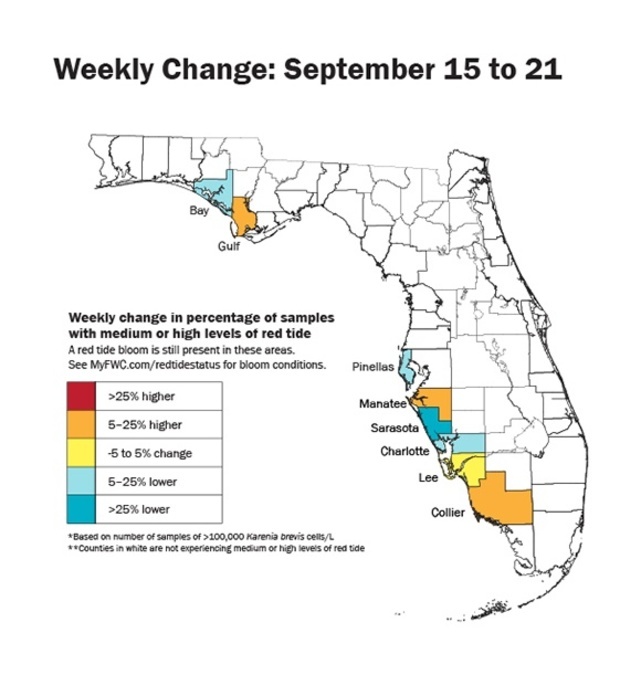 In Southwest Florida over the past week, K. brevis was observed at background to high concentrations in or offshore of Pinellas County, background to high concentrations in or offshore of Manatee County, background to high concentrations in or offshore of Sarasota County, very low to high concentrations in or offshore of Charlotte County, background to high concentrations in or offshore of Lee County, and very low to high concentrations in or offshore of Collier County. Reports of fish kills were received for multiple locations in and/or offshore of Pinellas, Manatee, Sarasota, Charlotte, and Lee counties and one location offshore of Collier County. Respiratory irritation was reported in Southwest Florida (in Pinellas, Manatee, Sarasota, and Lee counties). For the full report from FWC, click here . Forecasts by the USF-FWC Collaboration for Prediction of Red TidesExternal Website for Pinellas to northern Monroe counties predict net southwestern movement of surface waters and net southeastern transport of subsurface waters for most areas over the next three days.